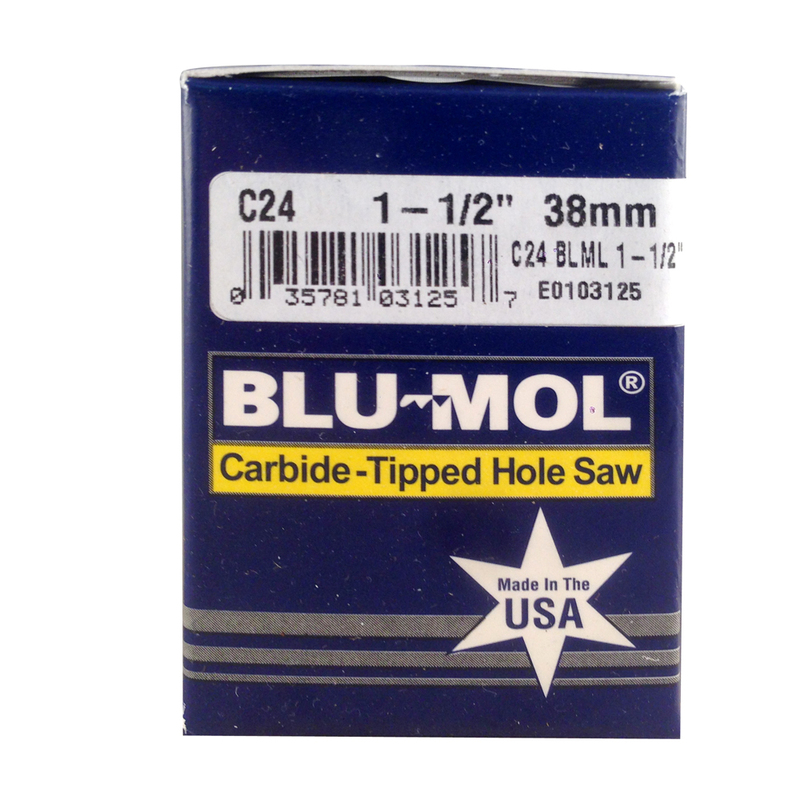 Blu-Mol® Xtreme Carbide Tipped Hole Saws allow for greater heat and wear resistance than bi-metal. Provides up to 10 times greater tool life on abrasive materials. Ideal for plumbing, marine and aircraft applications. Use in wood laminates, fiberglass, plywood and tile. Wear-resistant tungsten carbide for long life cutting through abrasive materials. Unique tooth geometry designed for aggressive cutting (3 teeth per inch). Ideal for plumbing, marine and aircraft applications. Use in wood laminates, fiberglass, plywood and tile. 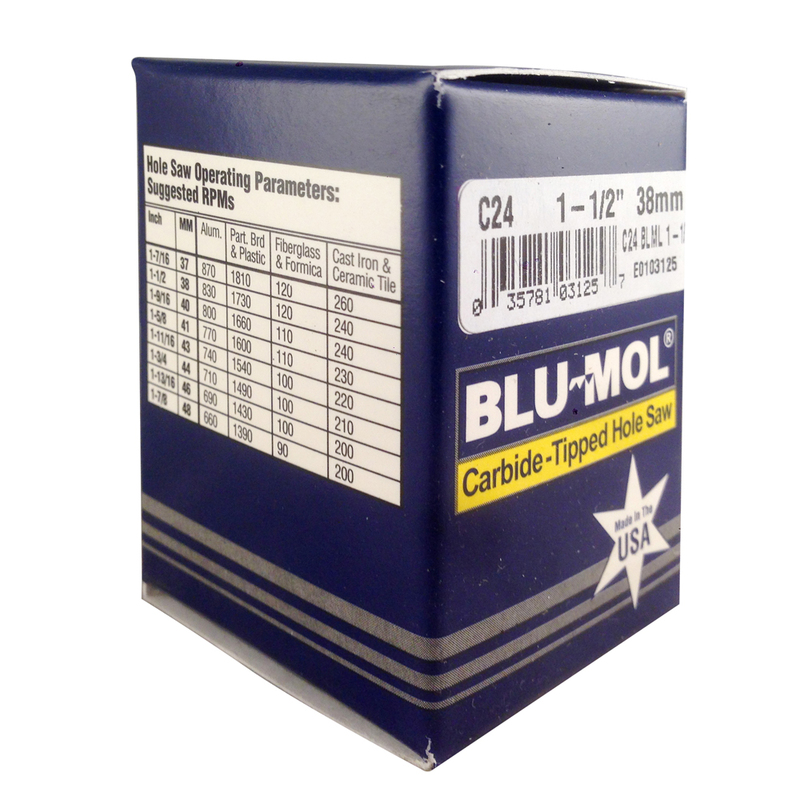 When industrial grade cutting is needed, Blu-Mol® Xtreme is the choice of professionals whose jobs depend on success. 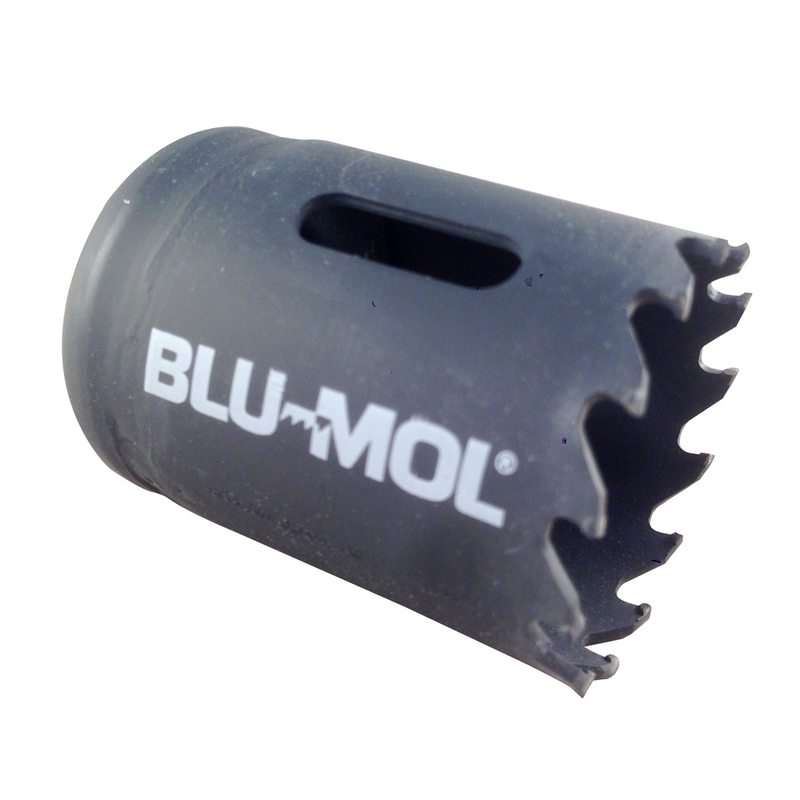 From bi-metal demolition blades to patented hole saws Blu-Mol® Xtreme products are designed for ultimate performance.